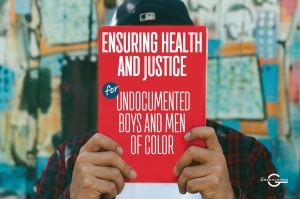 Undocumented boys and men of color live in fear every day, with discrimination and worries about deportation often dominating their interactions with the health care system. Greenlining conducted in-depth interviews with undocumented youth and young adults across California in order to go beyond statistics and illuminate the lives of young men who often serve as pillars of their families while enduring daily struggles. In addition to documenting the human stories of these young immigrants, the report makes concrete recommendations to policymakers. To the read the full report, click here. For printer-friendly version, click here. Help us spread the knowledge by sharing this on social media.